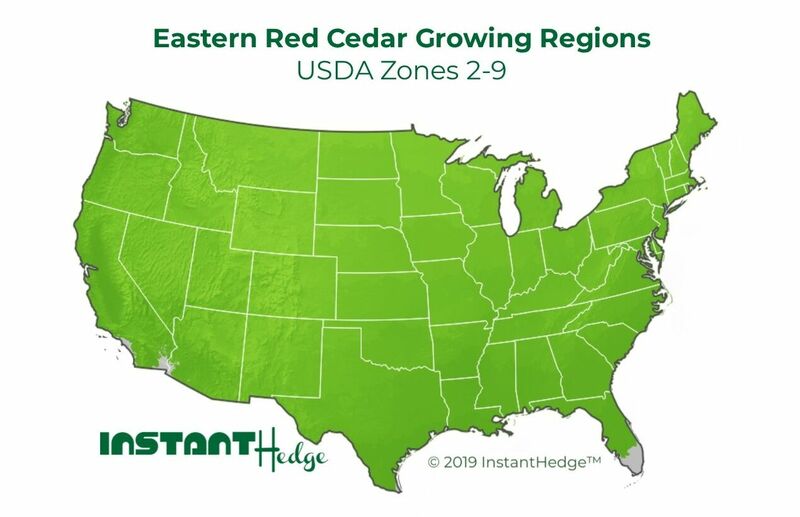 With one of the best drought resistances of any native conifer in the eastern United States, the Eastern Red Cedar is an excellent hedge choice for drier climates. Though it prefers moderately moist soils, the tree also tolerates a variety of different growing conditions, from humid swamps to more arid environments. The fine-textured foliage of this durable conifer causes it to form a very dense hedge with routine pruning. No serious insect or disease problems. Susceptible to twig blight, scale, mites and bagworms.